Spuds and Patties? Must be Summer! Sometimes one just reverts to familiar ground. 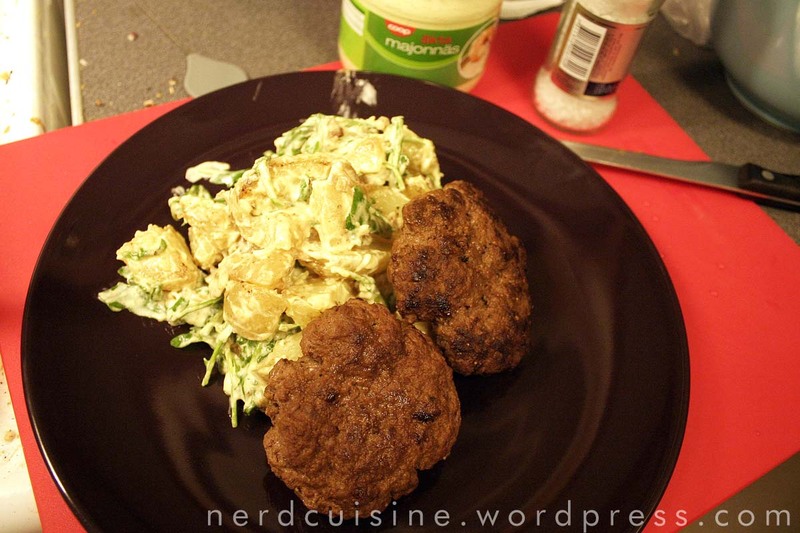 My potato-and-meat-patties probably make up ten percent of my total blog posts. This time it’s a beef patty (discount ground beef) seasoned with dark soy, smoked paprika, liquid smoke, onion powder and black pepper. I think I’ve done a new potato, arugula, mayo salad before, so this time I added some dijon mustard to the mayo and also subjected the boiled potatoes to a quick fry in the fat left in the pan by the patties.